Bay of Plenty District 7 is included in the Northern Division extending from Waihi to Taupo with a travel time between these points of approximately two and a half hours, and across to Whakatane in the east with a travel time of about two hours from either Waihi or Taupo. 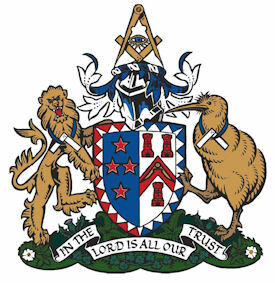 Fifteen craft lodges inclusive of The Waikato lodge of Research with a total membership of 411 (as of Oct 2016) are encompassed within the district. The research lodge, although based in Rotorua has a peripatetic charter and meets in various locations throughout the old Waikato Provincial district. Meridian Lodge is a daylight lodge meeting in the morning followed with the members enjoying a light lunch. Two English constitution lodges meet within the boundaries of the district, in Opotiki and Taupo. Dairying, forestry, manufacture, horticulture and tourism are all significant economic contributors across the whole of the district. Waihi situated on the northern boundary with a population of about 5,000 is perhaps best known for its operating gold mines. Katikati located on the northern end of the Tauranga Harbour with a population of about 4500 is a town well known for its numerous murals. Tauranga and Mount Maunganui situated on the southern end of the harbour have extensive port facilities and New Zealand’s fifth largest ever expanding population of approximately 130,000. Te Puke, regarded as the Kiwifruit capital of the world supports a population of about 8000. Rotorua is a popular tourist destination well known for its geothermal activity and lakes, rich in cultural heritage and supports a population of approximately 70,000. Taupo on the districts southern boundary next to New Zealand's largest lake with a population of about 30,000 has the mighty Huka falls and the mountains within easy reach and is a popular holiday destination. Kawerau nestled under Mount Putauaki, is a town originally built to support the forestry mills. A population of about 6500 has produced a significant number of internationally recognised people over the years. Whakatane to the east with a population of about 19,000 is on the coast beside the Whakatane river, with White Island (Whakaari) standing 48 km off shore providing geothermal activity and good fishing. Te Urewera National park on the other side provides good hunting and tramping.